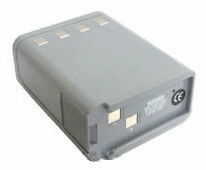 HNN5414: 10 volt 1200mAh rechargeable Ni-Cad battery, for Motorola HT600, HT800 radios, etc. Battery is grey color, like HT600/800. Can be re-charged in either Slow or Fast chargers. Replaces original #s NTN5414, NTN4563, NTN4585, etc.